And now they are broken. Check their right shoulder, if you have one. Twisted about 90 degrees backward. Yeah I didnt notice that on Monday, did the patch mess with it? 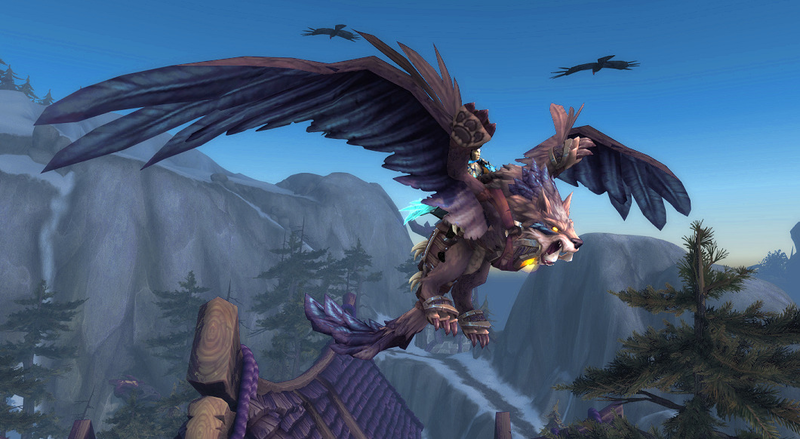 I love the mount, but the bear trap dangling from the saddle bothers me. Bear traps are illegal (where I live anyway) due to their cruelty, and I work at a vet clinic, and we have treated animals who have been victimized by someone using them illegally. They are cruel, awful things, and do not mesh with my hinter's ideals. Hi Dewclaw! I had similar thoughts when I first saw the bear trap, but I found the perfect solution to the problem. I decided that my hunter NEVER uses that particular trap on animals. She only uses it on evil people, like Gul'dan, Kil'jaeden, etc., who REALLY deserve it! Maybe your hunter could do that, too. I finished up my MM artifact today so I could get the blue wolfhawk (the one that I think looks best, even though I'm still not too fond of them). It looks nice enough I suppose, but man is that broken wing ever noticeable at certain angles. I hope they fix it soon, I can't even pretend to enjoy this mount right now because it bothers me too much to look at the weird arm. I took screenshots to try to hide it. Stretchy teeth in your 1st pic. 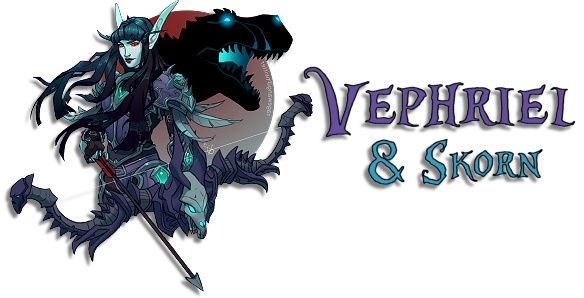 7.3 PTR is live, as are the bug forums. I've created a topic mentioning both the broken wolfhawk models and the feathermane idle/sound issue, any support would be good so that they see it! On the PTR today I found out that wolfhawk wings seem somewhat fixed. While in flight the wing is no longer broken, and the teeth seem fixed, however when they're on the ground one wing still sticks out awkwardly to the side. Still...progress is a good sign! With the Argus patch it looks like the problems with the mount may finally be fixed. Wing looks fine and teeth aren't sticking - at least for the moment. 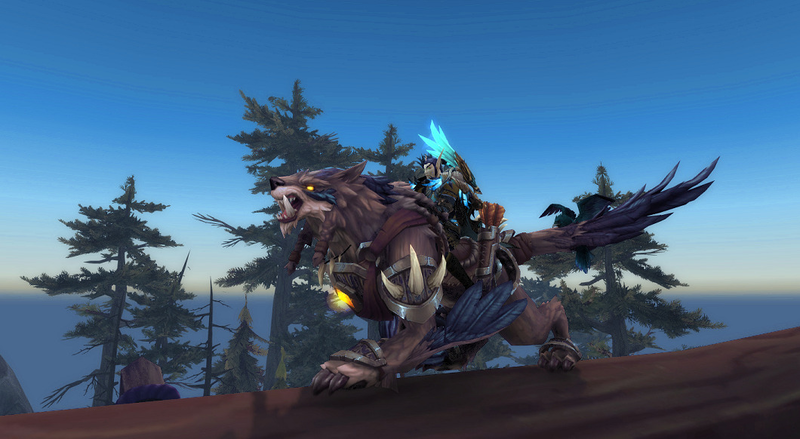 I like the wolfhawks but I won't be getting one, nor the ability to tame feathermanes since I don't do LFG anymore. I feel the same way. The sheer amount of open world content locked behind dungeons this expansion is too much, a poor decision by blizzard. I would have loved to be able to tame an owlkitty at least but it's not to be.